VEM uses C-Scan Ultra Sound to ensure the integrity of the target and backing plate bond. It inspects down to PPB levels. 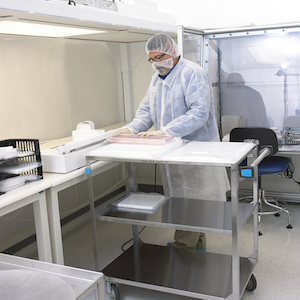 The inpection and clean are done in a Class 1,000 Clean Room. Materials are packaged in an inert gas atmosphere. All out going materials are inspected to ensure dimensions are within tolerance of specifications.